34" gold and pearl neckace with 2" extension. 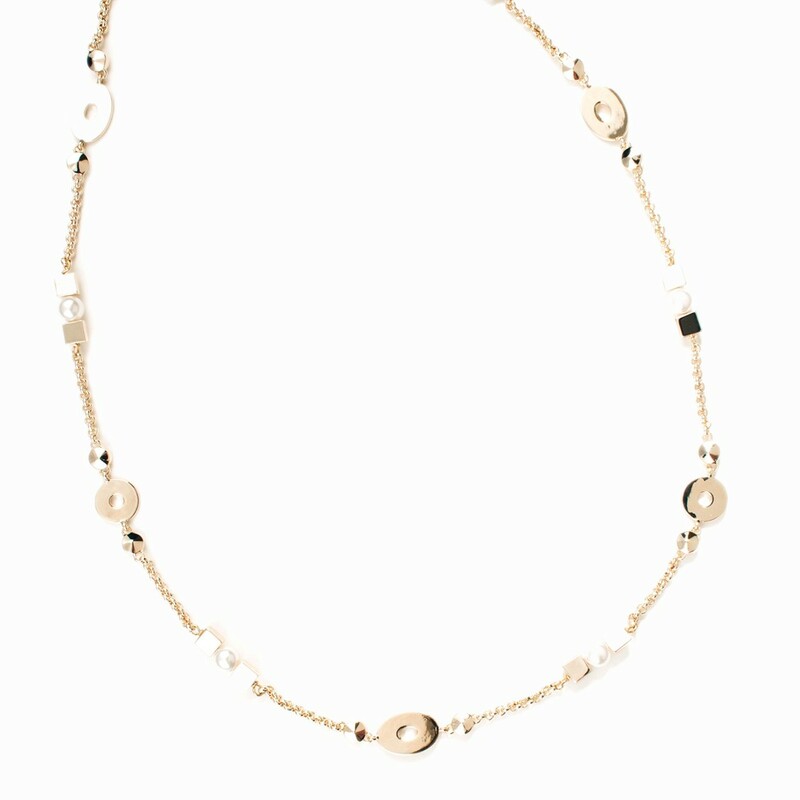 This necklace can be special ordered in a gold or silver tone metal and different colored resins or pearls. Refer to the chart below for resin color choices. Please call our Palm Beach store at (561) 655-5770 and we will gladly assist you with your purchase.